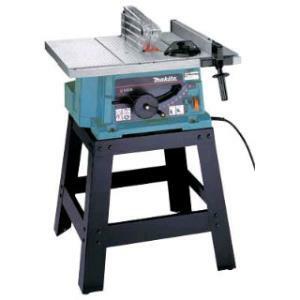 The 10" Makita portable table saw has a powerful 15 AMP motor that can easily rip 4x material in one pass. The saw features a right extension table that allows for ripping of 4' x 8' sheets of plywood, and can cut 3 5/8" at 90 degrees and 2 1/2" at 45 degrees. Machine bolts to removable stand. * Please call us for any questions on our table saw 10 inch rentals in Hillsdale and Ridgewood NJ.